Increased calls during the Rubber snorting challenge. Try the new electric kiosks at (some) McDonalds. 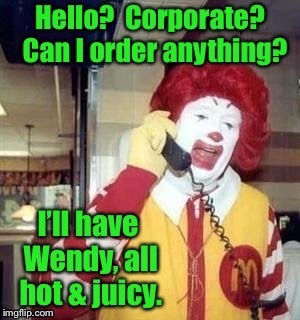 They'll let you order ANYTHING. And corporate refuses to update their software. Yay! It's true, though. 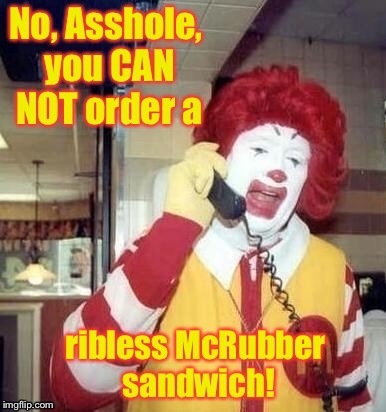 You can order McRibs on them newfangled contraptions. But you ain't gettin' none!